To fill out the story and develop the characters more by adding nearly half an hour of deleted scenes. Thank you especially to bionicbob, revel911, FoolsFollowing, asocialjester, and DominicCobb for previewing my workprint. Thanks to revel911 for giving me tips on color correction. Thanks to Neglify and juice4z0 for help with render settings. Thanks to everyone who contributed to the In-the-Works thread: njvc, Frantic Canadian, Whispers, Gaith, Neglify, Dwight Fry, bondukkevin, Kal-El, FoolsFollowing, Emphatic, steelio2006, bionicbob, TV’s Frink, Ripplin, Sunarep, Throwgncpr, revel911, LastSurvivor, DominicCobb, asocialjester, Devastator138, jswert123456, Delpheas, WyndorfDave, Uncanny Antman, and havok1977. Whew. Thank you, everybody, for the suggestions and support. 18 deleted scenes were restored. Some new music was added and some scenes were rearranged to allow for the insertion of the scenes. Some minor bits of the theatrical were cut for the same reason. Some color correction was done to make everything match up nicely – it’s not perfect, but I’m pretty happy with how it turned out. - Moved the scene with Tony Stark to after the credits. We now end with Bruce’s Hulk-out. 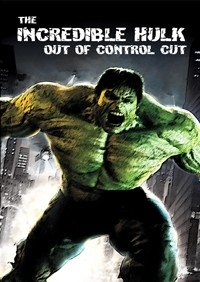 the incredibale hulk maybe one of the more underrated comicbook movies, for some reason you get the feeling that marvel would rather you forget all about it. coming out the same year as iron man it may have been overshadow in terms of box office and critical acclaim but it's a great. it's the kind of film that i wish marvel studios would make as it doesn't rely on goofy characters and childish humour like some of their more recent efforts. they have been many a rumour why norton didn't return to the character of bruce banner, one being that marvel wanted a leaner hulk movie given how the ang lee hulk was so poorly received. 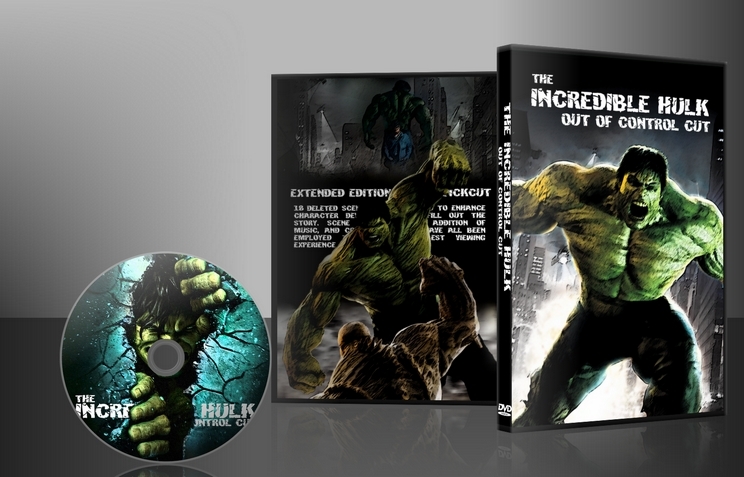 with the home release of the hulk you got to see the many scenes that could have fleshed out certain aspects that the film. most notably the love triangle between bruce, betty and her new boyfriend. this element worked really well with the extended cut and should have been included in the theatrical cut. i also liked the new opening scene, watching it on it's own i was glad they left it out but inserted into the film it really works in showing just how low our hero has gotten. however i do feel they are many scenes within this edit that didn't work and slowed down the pacing of the film. the scene between bruce and betty at the uni, general ross speech and the scene between ross and Blonsky to name a few. these i felt really slowed down the film when it needed to moved a lot quicker. i'm really glad the stark scene was moved till the end, though it's a excellent scene it did for me steal the thunder from nortons performance. The added scenes really flesh out the characters, and not just the green ones. Same amount of smash, more humanity. QuickCut helps to bring back some of the pathos I remember from the TV series. Nice job. Quite often footage that gets left on the cutting room floor ends up there for a good reason. Having recently seen the Avengers deleted scenes, with the exception of maybe one or two of them, I would say those scenes are pretty poor and would possibly detract from the film should they all be put back in. Not so with The Incredible Hulk! The scenes that Quickcut has added back into this film really do improve the film. It seemed like Lou Letterrier really wanted the core of this movie to be about Bruce and his struggles, rather than an endless display of Hulk outs. And this edit really demonstrates this. We get a lot more of Edward Norton's soul searching, and the reinstatement of the love triangle between Bruce, Betty, and Phil from Modern Family. These scenes really do add weight to the drama, and while they obviously slow the movie down (30 mins is quite a lot! ), it was an improved experience overall. Technically, this edit is pretty good. The image quality is not what it could (should?) be for DVD quality - it's quite grainy at times, and there was a consistent stuttering quality to the movement that was most evident during tracking shots, which looked perhaps like a frame rate issue? It wasn't too distracting though, and I was able to ignore it after a while and just enjoy the film. Well done QC, you've improved on the original story, and made a film closer to what was probably originally intended for this movie before the studio got in the way.